(use this code when making shopping cart orders to be picked up at the show) PLEASE DO NOT use this code if you cannot pick it up at the show..
Peter Pig games are always participation. They usually show a part of the whole game because of time limitations of customers. Thus they are called gamettes. List of RFCM events 2019 Click here! Sadly Fisticuffs is not on in 2019. It may be back in 2020? The club is short of cash and members! This is a new new show that looks very promising. Hence we are returning to Bovington after an absence of many years. The following ranges will not usually be at shows unless you request them to be there. Please email us a week in advance and we will make a space for the range you request even if after looking you decide not to buy. The maximum number of any figure pack we bring is now 4. Please pre-order if you know that you wish to buy more. 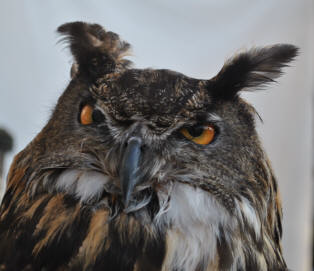 Mr Owl says, "get your show order in early|". You can meet the Peter Pig team at shows and we can get to meet you and hear your thoughts. These are the team that design, produce, package and use the products. This is because we want to meet our customers, support the hobby and let gamers try our products before they buy. At these shows we usually have a participation game on the go, so that you can see the rules and figures in action and take part. This allows you to judge the products before you buy. If we don't have a game with us it's usually because the show does not have space for us to do a game. Please feel free to pull up a chair and watch , join in for a game or stop play to ask questions. At most shows we have new products , so it is always worth visiting the Peter Pig stand. Our convention games are not open to children. The games require full and complete attention for about 45 minutes with a working knowledge of military vocabulary and strategy. The aim of these show “gamettes” is to show the mechanisms and figures used for that game. These can never be full games, as that would require about 2 hours, which is far too long to take out of a gamer’s show visit. How ? Order via the shopping cart and we will package it up and bring it along. If you have time during the day, check over your order and let us know of any errors before we all go home. When ? At least a week before the show date if your order is to be guaranteed to be ready. Resin items especially take time to prepare. Discount ? You get a 10% discount on the order (no minimum size) if you use the appropriate code. Shopping cart Must be used. The promotion code for orders to collect is available until each Tuesday noon (PP time) before the convention. After this time we are crating stock for transport and shopping cart remains unsupervised (your order will be too late). Members of any host club can assume a 20% discount on pre orders for their own convention. Club officers please contact us for your special code. Payment ? Cart will give option of Paypal or credit/debit card. Only one code may be used on an order. Remember to use the individual promotion code to get 10% discount and choose the "Collect in person" option to avoid shipping charges. All uncollected orders will be returned to stock and payments refunded on the Monday after each show.